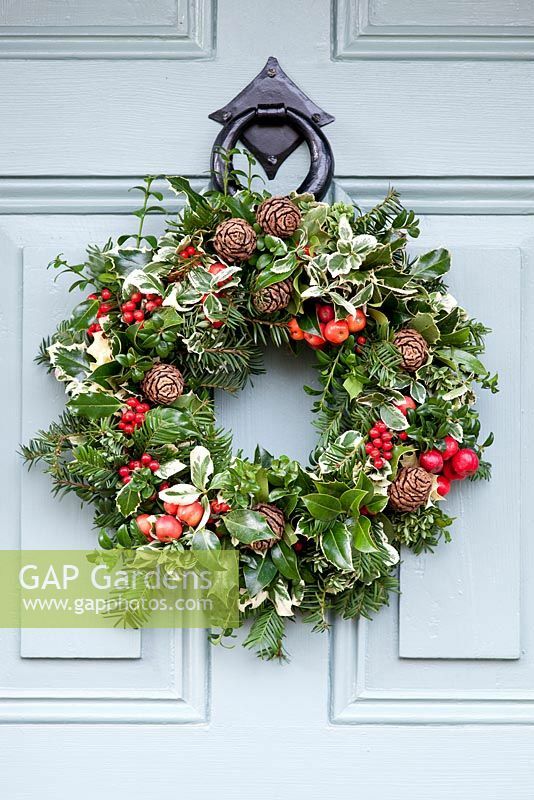 Christmas wreath hanging on a Blue door. December. Image 0527517 has been added to your cart.